It’s only fitting that in the 200th anniversary year of the Vienna Congress, which basically restacked Europe’s political blocks after Napoleon had knocked them all down, Vienna should announce records in such MICE events as congresses. In 2013 Vienna held 3,389 congresses and corporate events bringing in 501,337 delegates for a new record. Vienna, according to the International Congress and Convention Association (ICCA) in 2013, was the world's No. 1 destination for international congresses in 2012 for the eighth time in succession. Despite the growth in delegates, the resulting 1,401,888 bednights fell by 8 percent from a very high 2012. All of this added €832.17 million to Austria's gross domestic product. 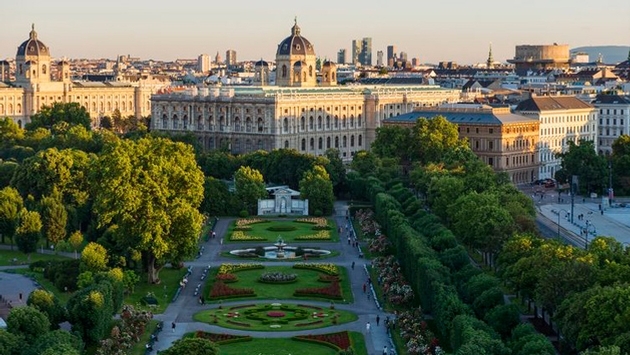 In total, Vienna recorded around 12.7 million visitor overnights in 2013. Congress tourism accounted for 11 percent of this amount. Visitation to Austria set a record in 2013 with 36 million total arrivals. U.S. arrivals increased 9.1 percent to 580,000 and that doesn’t include the 120,000 Danube river cruisers calling at Vienna. U.S. overnights in 2013 increased 6.3 percent to 1,367,000. Salzburg and Vienna will host 60 top-end travel agents from the U.S. and Australia this coming Oct. 19 to 25 at the Destination Summit for Luxury Travel Agents organized by the Austrian Tourist Office. The show will help reintroduce these experienced agents to a city that’s undergone major changes in hotels and airport facilities as well as an upgraded downtown shopping scene. The new Ritz-Carlton, the new Palais Hansen Kempinski, the Park Hyatt at Am Hof and the ME Vienna by Meliá are part of a wave of hotels that increased the city’s room inventory from 58,100 beds in 2012 to 62,300 beginning this year. "Vienna's success as a congress metropolis is based on many different factors," says Vienna’s director of tourism Norbert Kettner. "Meetings in the Austrian capital are optimally supported by municipal and academic facilities, and with 24 licensed certification agencies for Green Meetings, Vienna has already demonstrated vision with respect to environmental sustainability, and the city's growing importance as a Central European hub is proving a valuable asset. Besides, new hotel projects in the up-market segment coupled with the redevelopment of the area around the new Main Station are generating sustainable impetus." In 2012, Vienna International added the Check In 3 terminal building that doubled the amount of terminal space at the airport. Austrian Airlines is strengthening its flight service to the USA due to increased demand and expects 130,000 additional passengers in 2014. In July, Austrian Airlines will begin five times a week to Newark, New Jersey, opening up many additional connections through partner United Airlines. Also starting July, Austrian will offer daily flights to Washington, D.C. with the new Boeing 777, and this month it begins daily service to Chicago. 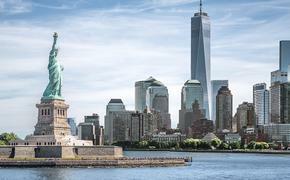 Austrian will also be offering 12 weekly flights to New York, which adds up to a total of 33 non-stop flights from North America to Vienna.